A challenge to the competency of a reclaiming motion which was designed to review not the interlocutor appealed against but an earlier interlocutor has been dismissed. The Inner House of the Court of Session repelled the objection after ruling that there was a “direct relationship” between the two interlocutors. The Lord President, Lord Carloway, sitting with Lord Brodie and Lord Malcolm, heard that the issue arose out of an action for damages brought by the pursuers Prospect Healthcare Ltd against the defenders Kier and third parties Carillion over defects in the construction of Hairmyres Hospital. The pursuers’ case ultimately fell apart and by interlocutor dated 15 June 2016, the commercial judge, on the pursuers’ unopposed motion, allowed the pursuers to seek dismissal of the action in terms of RCS 29.1(1)(b) on condition that they paid “full judicial expenses” to the defenders. The interlocutor recorded that a motion to find the pursuers liable to pay the defenders the expenses which the defenders would require to pay to the third parties was refused. It also recorded that, on the unopposed motion of the defenders “made at the bar, the defenders were allowed to “abandon” the action against the third parties, and to seek dismissal only, on condition that the defenders pay full judicial expenses to the third parties. By interlocutor dated 14 July 2017 the commercial judge dismissed the action and the third party claim; the respective accounts of expenses having been paid, but the defenders enrolled a motion for review of the that final interlocutor. The motion therefore concerned the scope of RCS 38.6(1), which submits all interlocutors, previous to that reclaimed, under review. This in turn required an analysis of the full bench decision in McCue v Scottish Daily Record and Sunday Mail 1998 SC 811 and dicta in two more recent determinations, namely John Muir Trust v Scottish Ministers 2017 SC 207 and Clark v Greater Glasgow Health Board 2017 SC 297. Counsel for the pursuers Heriot Currie QC maintained that it was clear that the “true intention” of the defenders was not to review the interlocutor of 14 July 2017, which disposed of the whole subject-matter of the cause, but the earlier interlocutor of 15 June 2016. RCS 38.3(6) provided that an interlocutor pronounced on the Commercial Roll, other than an interlocutor disposing by itself or taken along with previous interlocutors of the whole subject-matter or merits of the cause, could be reclaimed only with leave. Although RCS 38.6(1) provided that the general effect of reclaiming was to submit to the review of the Inner House all previous interlocutors, that was subject to certain exceptions: the first was where the prior interlocutor was “immune” from review by virtue of another rule; and the second was that it was not competent to seek to challenge an interlocutor which had nothing to do with the merits of the interlocutor reclaimed. Counsel for the defenders Lord Davidson of Glen Clova QC countered that the competency of a reclaiming motion had to be determined in the light of the “whole circumstances” of the case. 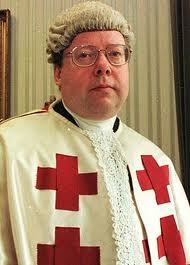 The liability of the defenders to pay the third parties’ expenses totalled £2.1 million. It was said that it would be an “affront to logic and common sense” that it could not be subject to review. Repelling the objection, the appeal judges observed that the relationship between the prior interlocutor and the final judgment was the important factor.